Achieve peak performance from your ERP platform while minimizing downtime and lowering TCO. 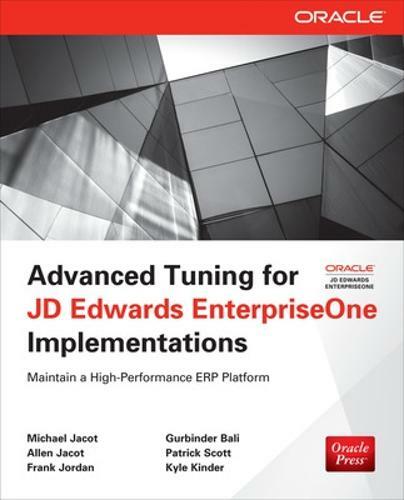 Advanced Tuning for JD Edwards EnterpriseOne Implementations shows how to plan and adopt a structured, top-to-bottom maintenance methodology. Uncover and eliminate bottlenecks, maximize efficiency at every component layer, troubleshoot databases and web servers, automate system testing, and handle mobile issues. This Oracle Press guide offers complete coverage of the latest cloud, clustering, load balancing, and virtualization solutions.